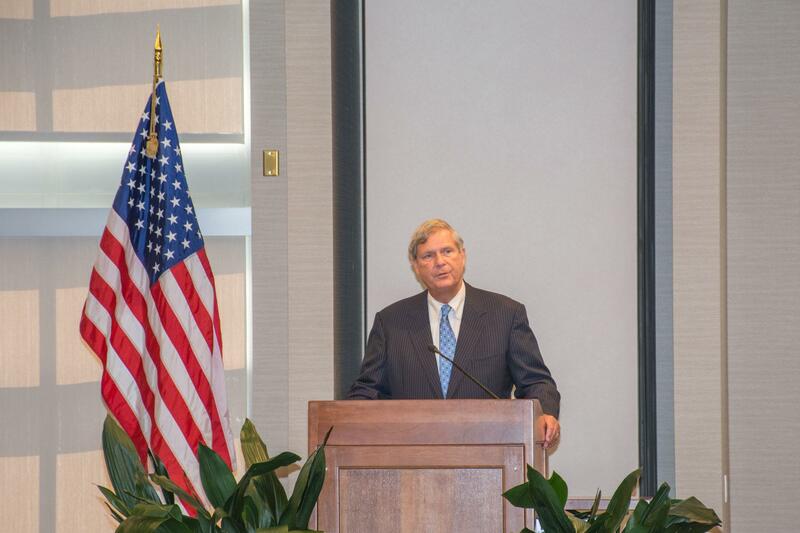 U.S. Secretary of Agriculture Tom Vilsack speaks on “The Role of Public Research Universities in Addressing International Food Security” at Alice Campbell Alumni Center on Thursday. Tweet: U.S. Secretary of Agriculture Tom Vilsack calls on students to solve world hunger now.As some 300 students, faculty and community members sat in the Alice Campbell Alumni Center Thursday, U.S. Secretary of Agriculture Tom Vilsack called on University students to solve hunger in their lifetimes. “(A University education) is not just an opportunity. It’s a responsibility. It’s a duty,” Vilsack said, highlighting the work of ACES’ international food security initiative. University faculty and Vilsack visited the UI Energy Farm earlier on Thursday, where Vilsack announced Illinois will receive a $12 million grant to install 428 renewable fuel pumps as part of the USDA Biofuels Infrastructure Partnership. After announcing the program in May, the USDA received application requests totalling $130 million for the $100 million in available funds. During his speech Vilsack also underscored contemporary challenges facing the agriculture industry, such as food security, innovations in technology and research, climate change and sustainability efforts. He highlighted the agricultural benefits of President Barack Obama’s proposed trade agreement, the Trans-Pacific Partnership, with Australia, Brunei Darussalam, Canada, Chile, Japan, Malaysia, Mexico, New Zealand, Peru, Singapore and Vietnam. The accompanying act, the Trade Promotion Authority, was signed into law on June 29 despite facing significant opposition from democratic leadership, including House Minority Leader Nancy Pelosi. “It’s often not discussed in the context of international food security, the role of trade,” Vilsack said. He praised the work of the University’s National Soybean Research Center and said China is the world’s leading soybean importer, because China is not capable today of feeding its own people. Vilsack said food waste is another concern to international food security because enough food is produced globally to feed everyone. According to the United Nations Environment Programme, 30 percent of all food in the U.S. is thrown away each year. 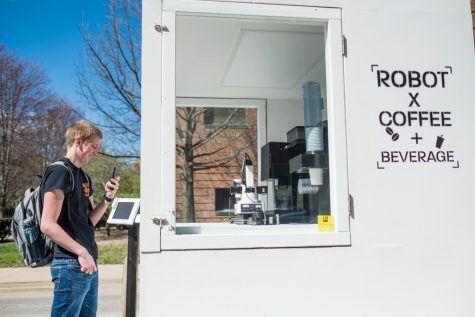 Before mentioning campus opportunities to reduce food waste, Vilsack promoted the USDA’s FoodKeeper App, which informs users how long food is safe to eat. During a public comment session, Vilsack responded to questions about China, women and minorities in agriculture, marketing agriculture investment and conservation. When an attendee asked whether he would accept a bid for vice president from the eventual Democratic nominee, Vilsack, who ran for president in 2008, laughed and stressed the ethics of keeping government and campaigns separate entities. Vilsack is the first of two members of President Barack Obama’s cabinet to visit the University during September. Secretary of Education Arne Duncan will visit the Urbana campus on Wednesday to discuss challenges in higher education, including disability resources, as part of his Back-to-School Bus Tour.